Rendezvous Collective is a full-service lifestyle boutique firm engaging communities through thoughtful branding, creative marketing and personalized activation. 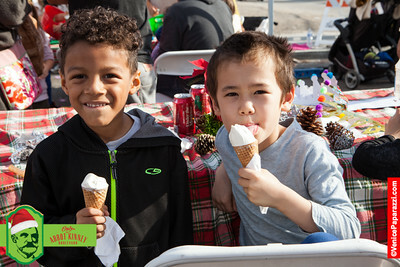 We believe this is the key component to building community. Community is at the core of who we are. Consider us an extension of your team as we embark on a synergistic collaboration. This immersion into your culture gives us the insight to develop first hand an understanding of your goals.Based on these objectives, Rendezvous Collective brainstorms fresh, relevant activations and marketing campaigns to identify and engage your target audience - making your vision a reality! Our designs will always be on-point, reflect your unique lifestyle and be true to your brand. We’re proud to share our team of creative talent, seasoned pros who've worked together for years. We work tirelessly to hone your message. Our family includes, experts in event production, cause marketing and PR, a graphic and web design, and social/influencer connections. Our services include; customized activations, community festivals, targeted marketing, brand management, sponsorship, influencer connections, content creation, advertising campaigns, graphic design & web design. Keeping all this in-house offers fast turnaround on concepts and deliverables. And great value. Success! We've put all the pieces together - even that one that always seems to go missing. Often we layer a variety of concepts. No activation is too large or too small. We've had a great time fostering relationships, building community, creating connections…doing what we love. Whether we've created a community festival, foodie event, music concert, or family fair, it will be executed without a hitch. And we'll track the metrics too. Your lifestyle will be effortlessly embraced by the desired demographic. You might catch us whizzing by on our golf carts. Hundreds of vendors, multiple beer gardens and music stages and a whole Kids festival within the festival - all along a mile long street with about 100,000 attendees - no problem! Not all festivals are as large as the world famous Abbot Kinney Festival (Venice, California), but they all have one ultimate goal in mind, driving business. There are too many moving parts to count, but that's our specialty, implementing seamless productions that look effortless. We're equipped to handle all aspects; logistics, staffing, design, entertainment, vendors, marketing and community liaison. Festivals and Indie Craft Markets are a fun and an extremely effective way to bridge organizations (businesses or nonprofits) with the community. We've planned other purposeful uses of community spaces. We'll zero in on your target! Rendezvous Collective will design and implement an event or series of events targeted to attract and maintain a loyal following for our clients. Our scope covers logistics and implementation, in addition to overseeing collateral design and promotion. Successful strategies have included; drawing new or sought-after customers to businesses, increasing attendance at museums and entertainment venues and stimulating shopping to retail/restaurant districts. We love creating activations that are engaging and fun! Rendezvous Collective is the on-site marketing and event production team at Runway Playa Vista. Since May 2016, Rendezvous has produced monthly Runway Fundays, a Music Monday concert series, Artisan Night Markets, Halloween and a spectacular Holiday Block Party. This event and community driven marketing has attracted thousands each month to Runway and Playa Vista as a whole. Community partnerships are key to this success! 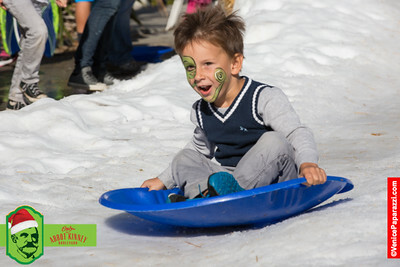 Abbot Kinney Snow Day is now a Holiday mainstay along Abbot Kinney Boulevard and is a beloved Holiday kick-off event for local merchants and the community. 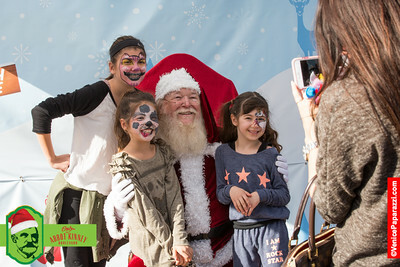 What began as a sweet holiday "gift" to the neighbors of bustling Abbot Kinney has grown into a greatly anticipated tradition for adults and kids alike. Building on the tons of snow delivered to cheers from one and all, local high school choirs carol along the street adding joyful cheer to the Boulevard's Holiday Stroll. Rendezvous Marketing weaves this winning combination of snow, singing and Santa, creating a festive shopping spirit, music to any brick and mortar's ears. Lifestyle branding is just one of the many things that sets Reiss Co apart from other Venice based restaurants. 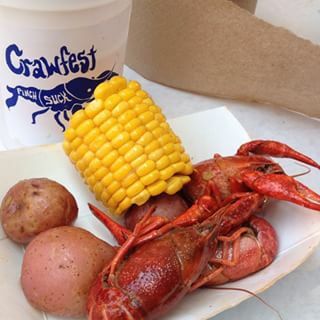 Crawfest, now a Memorial Day staple at the widely famous Brig Bar in Venice, gathers locals and newcomers alike for a crawfish boil, the traditional way: 600lbs of crawfish, Andouille sausage, seasoning, and a pot. Poured directly onto the table. Not to be outdown by the sister property, Sunny Spot, claimed Fourth of July weekend as it's moment in the spotlight to step outside it's doors and create a Stoli Spot beachside cocktail picnic, complete with beach chairs and sand. Both experiences have afforded owner David Reiss a way to expand his clientele base while enhancing his brand identity. We're storytellers, we're your storytellers. While crafting a Rendezvous Collective event, the devil is in the details. Concisely conveying your lifestyle is considered every step along the way. It's seamlessly woven into the story. The look and feel is consistent across all media channels. Graphics are compelling. We thoughtfully design appropriate collateral; postcards, door hangers, posters, brochures, and more. Interactive strategies of consumer engagement; prize drawings, Instagram contests, scavenger hunts, or even video simultaneous conferencing are custom tailored to engage your community. Beachy, bright and sunny light pole banners pepper Abbot Kinney Boulevard during the warm, tourist laden summer months. These fun bursts of color create synergy between the Abbot Kinney Festival brand and the resident brick and mortar businesses. Merchant focused collateral is designed to drive shopper interaction, creating a cohesive brand identity that resonates with consumers. To stimulate shopping along the mile long street, interactive marketing strategies resulted in increased consumer engagement. An Instagram scavenger hunt worth a shopping spree drawing of over $4000 worth of local merchant donations was promoted through clever and whimsical banners, window posters and postcards promoting the event. Local merchants compounded the fun with in-store events and promotions shared on the blvd's website and social media outlets. Success was measured from social media growth and robust store receipts representing $65,000 in sales within just a few hours. Each Rendezvous Artisan Market is a destination event of hand-picked local artisans. Our Festivals are perfectly executed personal experiences. They're relevant, wholesome and always FUN! There's no shortage of great craft markets. To separate ourselves from the pack we realize that the key to our markets is the location. We seek out the most interesting local venues to create the perfect environment for our markets. In this fast-paced, mass produced world, we recognize the importance of quality craftsmanship and are proud to create an authentic community for our talented vendors to offer their unique goods. We feel we're part of the solution. Equally important to our core values is giving back. That's why our markets are also fundraisers for our partner venues or local non-profits. We put our hearts and souls into creating a truly memorable event. We welcome you to Rendezvous with family & friends and experience a Life Well Crafted.